This lightweight linen tank features a narrow V-neckline, a low-hip length, and looks great in any fit (shown here in relaxed). Easy, breezy, summery. What more could you ask for? 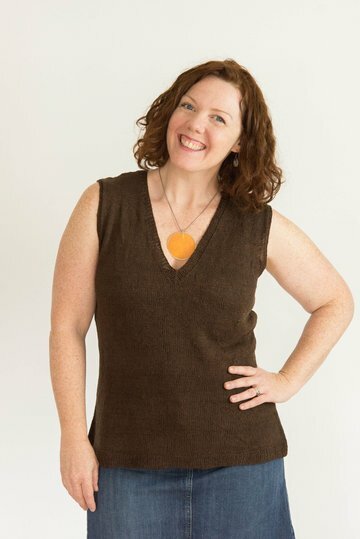 This tank is made with Shibui Linen in color "Grounds". Amy likes this yarn at approximately 7 stitches to the inch.